Once again I have asked my friend, Dr. Michele Tucker of Palm Beach Veterinary Specialists to assist with this sensitive subject. When someone receives the news that their pet has an illness or disease that is fatal, they will experience something called anticipatory grief. Unlike grief after a loss that becomes less intense over time, anticipatory grief becomes more intense as the loss approaches. This is because it is very difficult for us to watch our beloved pet’s quality of life decrease over time and to be reminded that death is inevitable. If you receive news from your veterinarian that your pet is terminally ill, you will experience a tirade of emotions. This will include anxiety in anticipation that you will have goodbye to your pet. 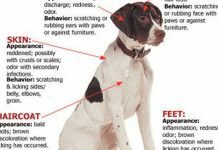 You may feel anger that your pet is sick. Denial about the seriousness of your pet’s condition may affect your ability to be rational when it comes time to making sensitive decisions. 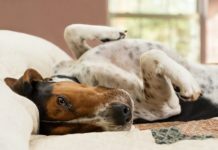 There may also be a level of guilt that you begin to feel as you wonder if there is something more you could have done or not done that would contribute to your pet’s condition. Anticipatory grief is a normal and necessary part of the grief process, and so is the emotional pain that comes along with it. During this difficult time, try to focus on the time you do have left with your pet. Consider spending more quality time with your pet by sharing special moments that will celebrate your relationship. Take pictures and carry them with you. Talk about your pet and tell stories. Videotape your pet doing anything, even simple things like running around the yard or sitting in front of a window. Write down these special memories of your pet by keeping a journal. When the time comes to say goodbye, believe in your special bond that you and only you have with your pet and trust that the outcome will become clear at the proper time. 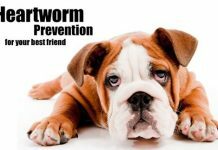 Obtain guidance from your veterinarian and speak openly about your pet’s prognosis. Trust your judgment. In your time together with your pet, you have learned to recognize your pet’s needs and you will be able to face the next difficult steps. At Palm Beach Veterinary Specialists there are free pet loss support group meetings on the first Monday and third Thursday of every month. 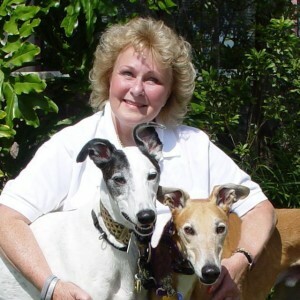 At Palm Beach Veterinary Specialists, Michele Tucker is the Director of Florida Animal Blood & Tissue Bank.